It’s safe to say that Iza Calzado’s condo unit in Makati is an achievement built on hard work, patience, and perseverance. After selling her house in Quezon City, the actress began looking for a new home in Makati and acquired this spacious unit in 2014. Improving the condo unit was second on her list of priorities as she chose to finish paying the mortgage first. After living in the space for six months, Iza started the renovation process, enlisting the help of her good friend, interior decorator Nix Alanon who is also the principal designer of FTADesign, an art and style company. What makes this unit extra special is her involvement in terms of choosing materials and shopping for pieces that will complete the home. “Ang dami pang gagawin. Unti-unting binubuo…Ayoko talagang magmadali just for the sake of filling it up,” shares the actress. 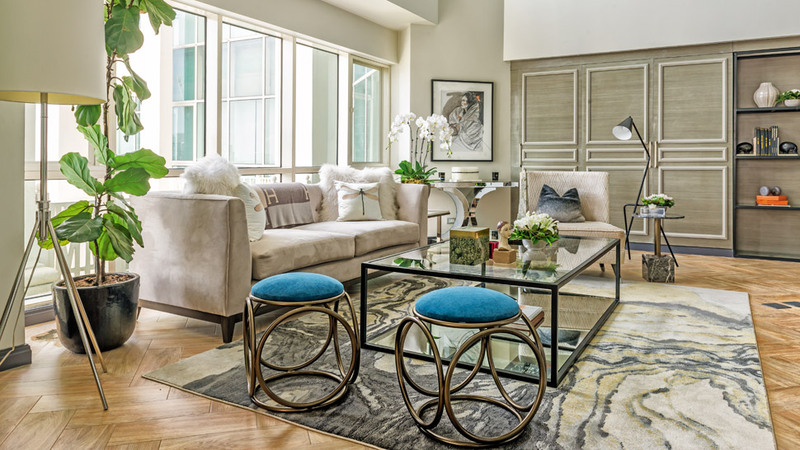 Just like what’s seen in her former sanctuary, the condo exudes class and sophistication while still being homey and inviting. An open layout connects the areas on the first floor as neutrals dominate the space. When asked about her decorating style, Iza says that it’s “quite eclectic.” “Hindi ko masabi ano’ng style. Honestly, no’ng una, dapat French siya. But I found it too girly, so I needed it to be edgier, but also quite feminine. That’s me—naughty and nice,” she explains. Aside from working with Nix, Iza also got ideas from her fiancée Ben Wintle’s mom, Friday Wintle. “A lot of it I consult with her ‘cause she’s very stylish. My God, idol ko siya. She’s the best,” Iza adds.